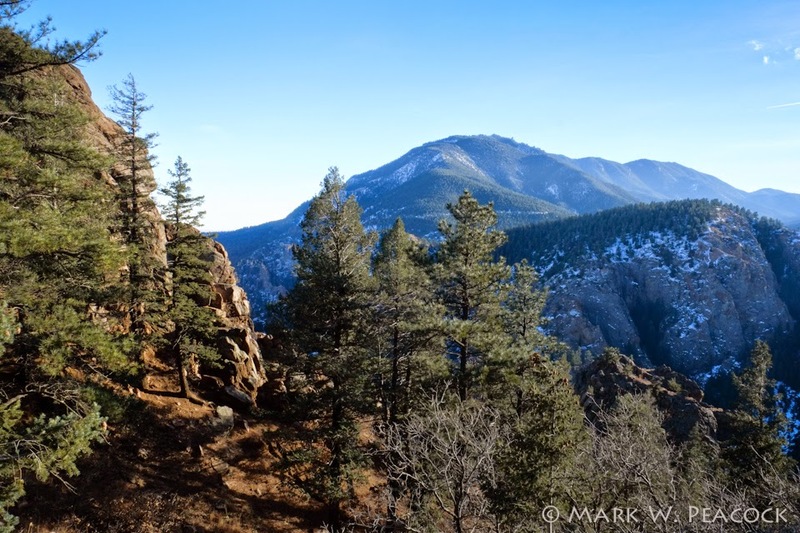 I visited Colorado Springs over Thanksgiving and thought I'd share some photos from my trip. This was my second visit to the Springs and once again I was in awe of the scenery. Click here for summer pics from my 2012 trip. 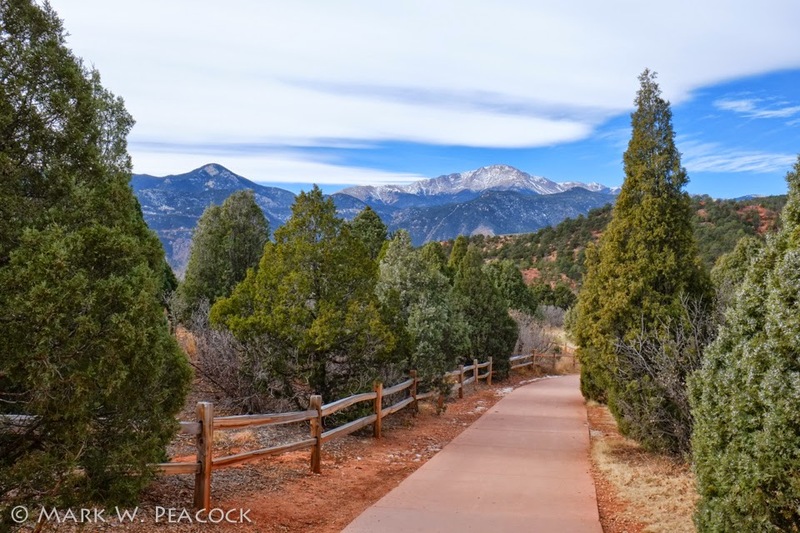 The photo above is of Pikes Peak -- as seen from the Garden of the Gods. Didn't venture up to the peak this time out. Though the weather was nice below, I didn't want to find out how cold and windy it was up there! 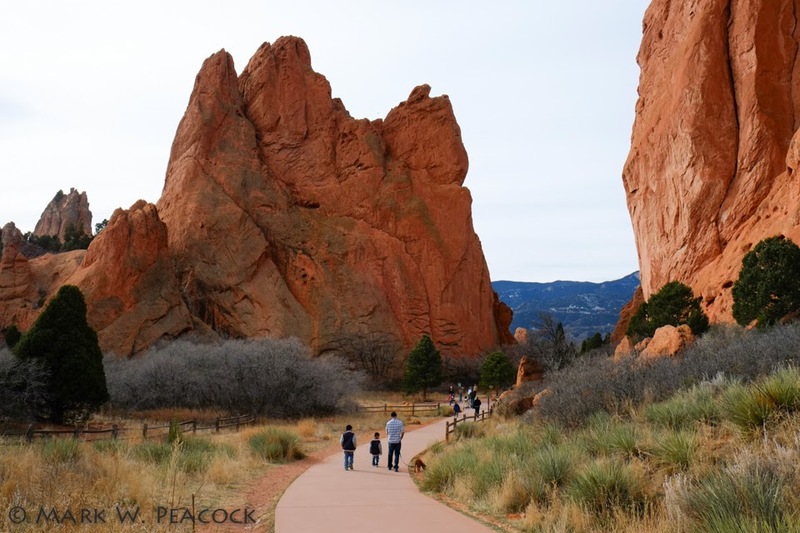 But the Garden of the Gods is very easy to get to and such a beautiful place to explore. 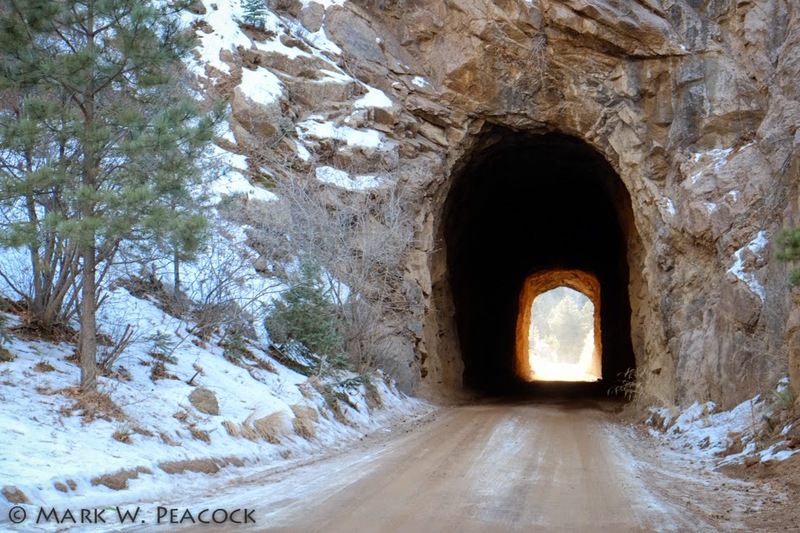 We also ventured up Gold Camp Road which is a narrow dirt road (following the path of an old railroad line) that takes visitors up the foothills of Cheyenne Mountain. Along the way we drove through two tunnels and had great overlooks of the city far below and surrounding peaks. The snowy conditions on the road made for an interesting mountain ride! I found this quote while searching for information: "When President Theodore Roosevelt traveled this route, he described its beauty as 'bankrupting the English language.'" 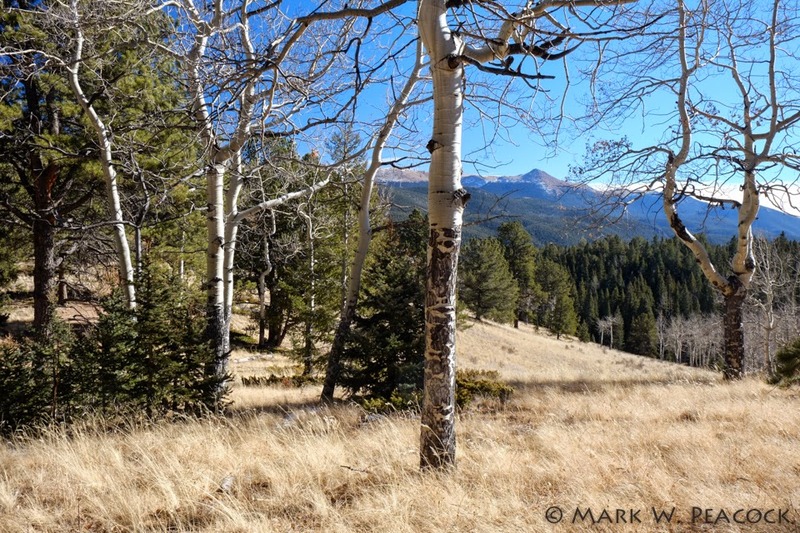 We next visited Mueller State Park about 30 miles west of the city. It was a gorgeous day and we were able to get out and explore. This would be a fantastic place to rent a cabin and do some hiking. But our time there was limited to a couple short, 'out and back' hikes. I'd love to return to see more of the park. Finally, we drove out to Canon City. The hour long drive itself along Highways 115 and 50 was amazing. This area of the state is dry and rugged, with stunning mountain ranges to be seen around every turn. 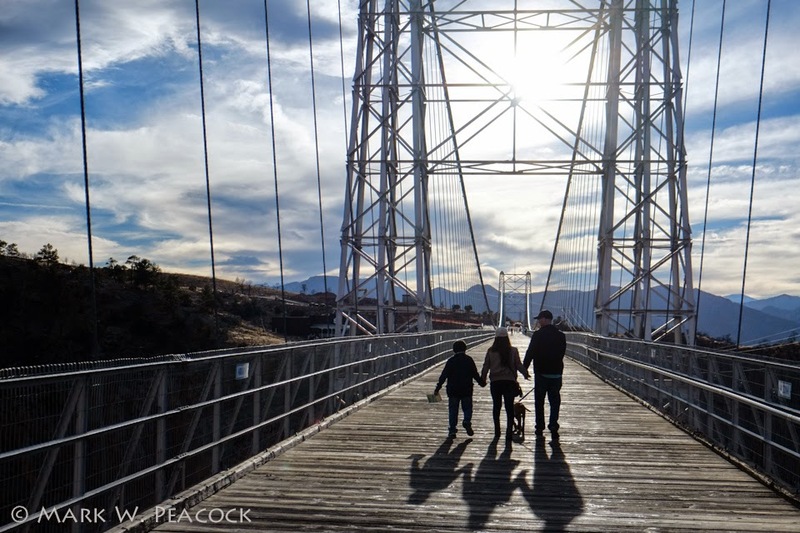 There are many things to see and do in this part of the state, but we were focused on visiting the Royal Gorge Bridge. Those from Appalachia might compare it to Grandfather Mountain. It too is a suspension bridge, but the two are quite different in scale. This bridge is huge. So large they drive buses and cars over it. Feeling the bridge move and shake as a bus drives along its wooden planks is an experience. 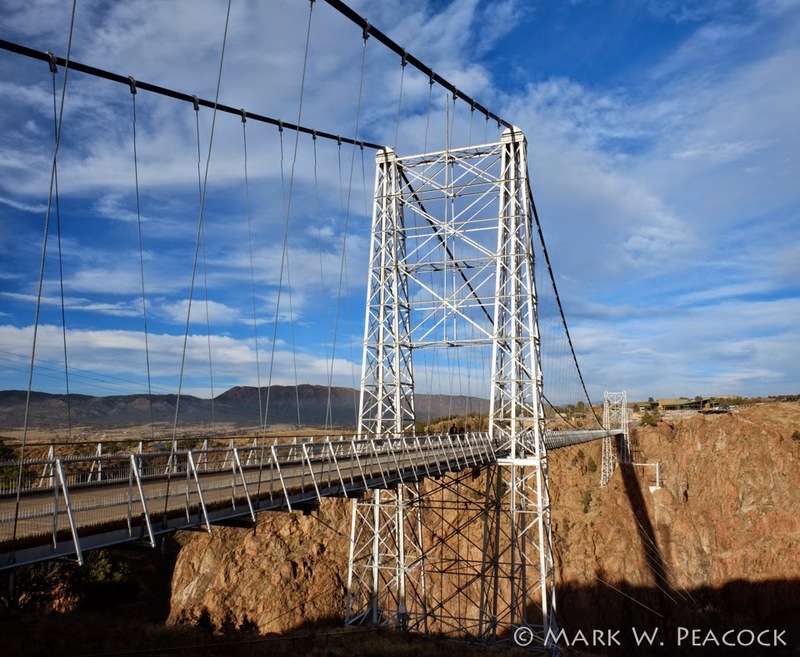 What the two bridges do have in common is extreme weather. Cold winds whipped through the gorge, making our journey quite frigid. 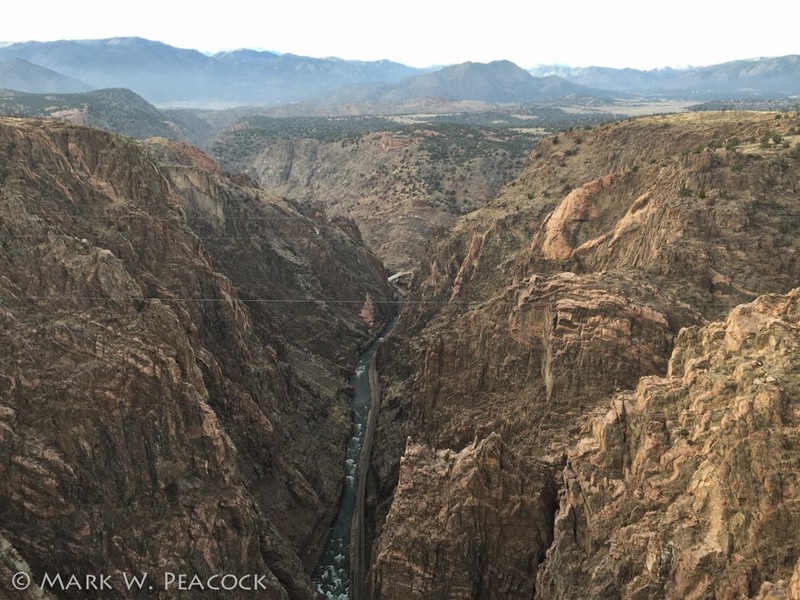 Far below is the Arkansas River and a railroad line which still operates, giving visitors a very close up glimpse of this canyon and river. Thanks for letting me share with you some non-Appalachian images. I hope to get back to sharing more local images soon. But... here's the bad news... Blue hurt his knee playing frisbee and just had knee surgery! It's going to be a long healing process for him. But while his frisbee playing days might be over, I hope he'll have lots more hiking adventures to come! Until then, I might not be getting out as much without my hiking buddy. Stored the rig for the winter in Salida CO, so in summer 2015 our second stop will be Colorado Springs and it will be our second visit to the area. Visited Colorado Springs last summer and visited Garden Of The Gods and Pikes Peak then onto Estes Park to meet the wife, daughter and son in law for the rest of our trip.